Spend the summer with PDX Opera (and wine … and ice cream). Soprano Jennifer Forni and David Saffert on piano at an Opera a la Cart performance. If the word “opera” conjures images of singers in Viking hats standing around singing words you don’t understand (loudly), then you’re in for a surprising summer with Portland Opera. Here are the top 10 ways to try something new and discover that you just might be an opera fan after all. 1. 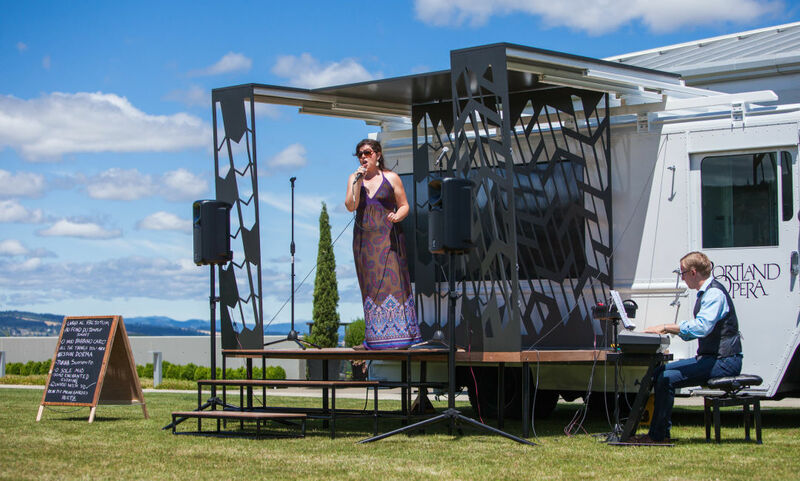 Opera a la Cart – a food truck like no other. Order a song from the “menu,” grab a glass of wine or cup of coffee, and enjoy some operatic favorites and the summer sunshine. Portland Opera’s revamped popcorn truck travels all over Portland, making stops at farmers markets, vineyards, street fairs, and festivals. 2. 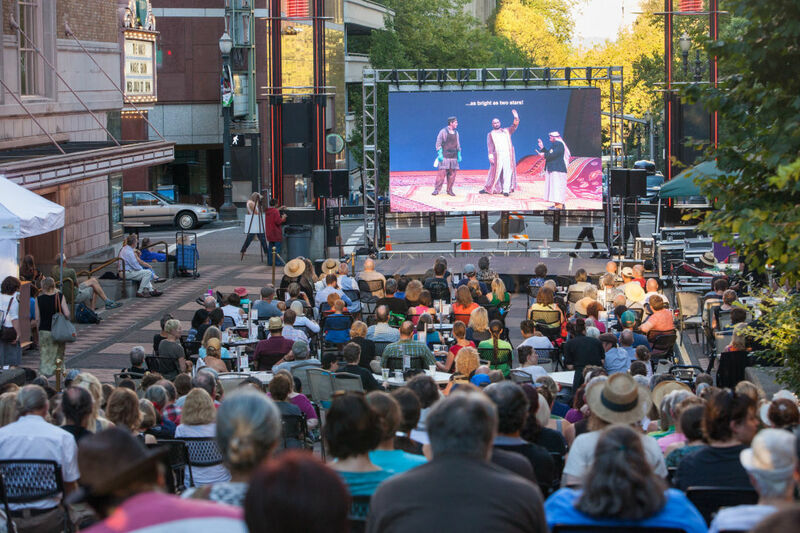 Live Outdoor Simulcast of La Cenerentola – the opera experience, but outside. And free. Want to dip your toes into the full opera experience? Check out the opera’s annual outdoor simulcast on July 25 featuring a new production of Rossini’s bel canto romance, La Cenerentola (also known as Cinderella). Bring a picnic and enjoy a live broadcast of a familiar tale, outside on SW Main Street as it happens in the Newmark Theatre at 7:30PM. Live simulcast of 2016’s performance of Rossini’s The Italian Girl in Algiers. 3. Lan Su Chinese Garden Performance – Beautiful music in a beautiful setting. Been meaning to visit the Lan Su Chinese Garden? Knock two things off your summer to-do list and visit the garden at 4PM on June 15th to hear some of Portland Opera’s Resident Artists perform. 4 & 5. Resident Artist Series – Opera’s version of The Voice (sorta). Hundreds of singers apply for 4 spots in this Resident Artist program that offers professional training and on-stage experience. This is their turn in the spotlight. Come hear soprano Helen Huang perform on June 5th or tenor Thomas Cilluffo on August 1st at the Portland Art Museum. It’s free, and you just might hear the next opera superstar. 6. Cinderella Celebration and Sing-a-Long and Ice Cream Social – We told you there'd be ice cream. In honor of Rossini’s La Cenerentola, Portland Opera will host an afternoon of fairy tale fun featuring performances by cast members, a sing-a-long of favorites from the Disney and Rodgers and Hammerstein versions of the story, and of course, ice cream. Pull out your costume and join the fun on Wednesday, July 18, 2018 at Director Park at noon. 7. Portland Opera To Go – A family-friendly version of this timeless classic. This fall, Portland Opera will present a kid-friendly version of Rossini’s comedy The Barber of Seville. Performed in both English and Spanish, there will be two performances at the Hampton Opera Center in December 2018. Think you are ready for the real thing? You have three more chances this season to pull on your favorite dress or suit, walk the red carpet, and experience all that opera has to offer. Nothing can quite compare to hearing a full orchestra with world-class singers, incredible sets, and gorgeous costumes. And the translations are projected above the stage so you won’t miss a thing. Oh, and there’s wine. 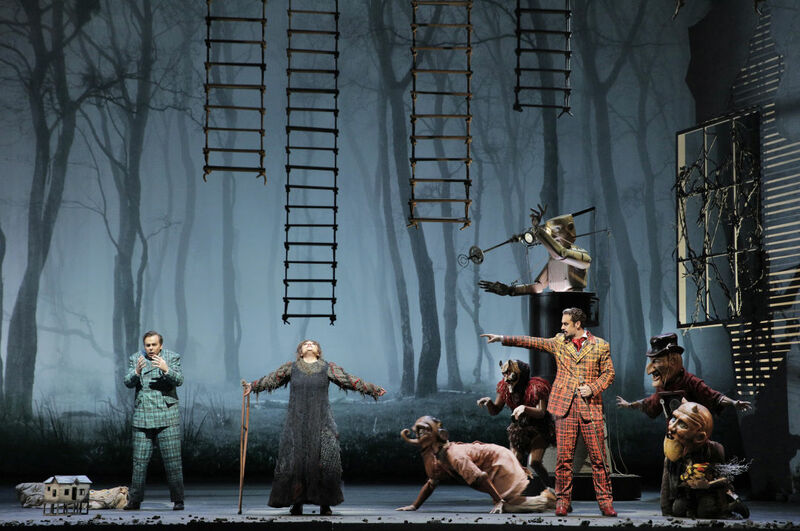 A scene from Portland Opera and Lyric Opera of Chicago’s co-production of Faust. 8. Gounod’s Faust – The original deal with the devil. Portland Opera’s 2018 season continues June 8-16 at the Keller Auditorium with Gounod’s epic opera. This groundbreaking new production is infused with the work of American visual artist John Frame. 9. Rossini’s La Cenerentola – The ultimate Cinderella story. The storybook tale about true love and generosity of spirit (and really stunning costumes) plays at the Newmark Theatre from July 13-28. The season closes out July 27-31 and August 2-4 with one of the oldest stories ever told. Celebrate your newfound opera fandom and visit portlandopera.org for more information and to purchase tickets. You can also call the Opera Concierge at 503-241-1802 with any questions you stumble upon on your new opera adventure. No really, ask anything.